Jason Hartman is happy to welcome John Rubino to the show. He is a second time guest and editor at DollarCollapse.com. He’s out with a new book titled Money Bubble: What to Do When It Pops and talks about the book on the show. Jason asks John about his thoughts on the Switzerland and China economy. John also talks about countries who are giving out negative interest rates and some of consequences that will happen when the money collapses. 2:05 – In a growing sector of the world now, if you want to lend money to somebody, you have to pay them. 6:15 – You can lose money in a money market fund, but they don’t want you to know that. 12:35 – We’re taking on more debt and we’re not fixing anything. 17:30 – It has nothing to do with the money, we’re just making really bad policy mistakes. 22:00 – Eventually we’ll borrow so much and create so much instability in the economy that people will not see US dollars as a safe heaven any more. 26:00 – John talks about Switzerland’s economy. 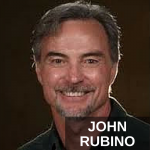 It’s my pleasure to welcome John Rubino back to the show. He is editor of DollarCollapse.com. He is the co-author of the Money Bubble: What To Do When It Pops. John, welcome, how are you? Great, Jason. How are you? Good to have you back on the show and where are you located? I’m out in Idaho. Little college town called Moscow, which is about three hours below the Canadian border. That’s spelled like Moscow, Russia? It is, except for some reason we pronounce Moscow, I don’t know why. Not to be confused. There’s no Vladimir Putin there. No, we’re not a fascist state. He has messed things up I’m going to say, maybe we can talk about that during the interview. Gosh, you know, there is so much going on in the financial world. It is fascinating right now. Not the least of which, I guess you’re just about to write an article on Germany is now paying negative interest rates on bonds. I don’t even know that’s a way to say that, because there are not paying, so what’s all about, John? Well, in a growing section of the world now, if you want to lend money to somebody, you have to pay them rather them paying you and there’s about 2 trillion dollars of bonds outstanding in the world that have negative yields right now and this is really extraordinary, but the background, the general..
Let me ask you before you go on, has it ever happened? Never on this scale. There have been brief instances in the pat of certain bond having negative interest rates or negative yield. So, when you buy a bond, you’re effectively become a lender, you’re lending money, and so in this case what dynamic is happening? Your German bond holders are basically paying to lend money. Yeah, to understand how this happened, we have to take a couple of steps back to understand how we got here and basically what happened was in 1971 the world went off the gold standard, effectively, and at that point we broke the link between all our currencies and anything tangible. So, currencies just became fiat currencies, which means they exist by government decree or government fiat and they are valued at whatever level the government says they should be and this basically gave the governments of the world an unlimited printing press. They were able to create as much new currency as they wanted and they didn’t have to prioritize any more. They didn’t have to decide between guns or butter, they just went for everything all around the world and so we ended up taking more and more debt year after year after year and creating more and more currency to over the debt and so we ended up with a globally grossly indebted society, you know, every major country owes way more money than it can ever hope to pay off and that is deflationary, because this debt has to be serviced, which means you have to get money in order to pay the interests on your debt which creates demands for currencies like dollars which is how most debt in the world denominated and that forces down interesting rates, because everybody wants currency so that means if you have to lend, sorry, if you’re burrowing, if you’re a good burrower, everybody wants to lend to you. So, now people are terrified and they are looking for safe places to put their money because all of this debt out there is scary the people who have capital to invest and so there deeply attracted to the few solid places left to put money, which are the German economy is consider safe, the US economy is considered safe, a few others countries and a few major corporations, so these guys, because everybody wants to put their money with these entities are able to borrow money at more and more attractive rates year after year and it’s going negative now. For instance, to invest in Swiss Francs, to open a bank account in Switzerland, so many people want to do that, but the Swiss are able to say, well, we’re not going to pay you, you have to pay us if you want to put money in our banks, and so that’s spreading around the world in the safe heavens. So, what’s happening is we now have about two trillion dollars of various kinds of paper out there that trades with negative yields and that’s historically unique and introduces all kinds of distortions in the financial markets because to take just one of the big ones, their whole industries out there that depend on positive interest rates to function, you know, a money market fund for instance. That’s a huge industry, multi-trillion dollars and it is based on the fact that if you give a money market fund some of your money, they pay you a little bit back in return for your funds. People should understand too, you know, since we’re bringing this issue up that money market funds are not insured. No, no, they own short term corporate paper. You can lose money in a money market. See, the money market fund doesn’t want you to know that. They want you to think of an investment. A money market fund is the same thing as owning cash, but it pays you a little bit. So, it’s like a bank account but a little bit easier to get to because you can use a money market fund to transact and stuff and so that requires though that the money market fund be able to make some money on the money that you give them and if rates are negative, which means money market funds actually have to pay in order to invest that money that you’re giving them, then they can’t pay you, and all of a sudden, they’re worse than cash. If you have your cash just sitting under the mattress, it’s not losing any money, it’s not cash flow negative for you, but in a money market in a negative interest rate environment it is. So, that industry just implodes if that happens. Pension funds take in money from, you know, teachers or fireman or whoever with the idea that they’ll invest and then build up a nice big account and then pay back those teachers when they retire. Well, that requires positive interest rates on bonds for the pension fund to invest in and if that’s not the case, if the pension fund can not earn anything on its bond portfolio than it can’t build up a nice big account to pay out when its members retire and that’s the case for a lot of pension funds. Now, they can’t find a new place to invest their money, so what they’re doing is they’re going after riskier investments. They can’t invest in bonds, which are fairly safe, then they’re going into stock, which go up and down and they’re going into jump bonds, which are very risky, they can go down 30-40% in a bad year and so, all of a sudden these pension funds that are kind of guaranteeing for future retirees can’t make that guarantee anymore. So, that industry when it’s understood that’s the case is going to have to change radically and that’s a multi-trillion dollar industry and insurance company is the other one. You know, if you’re an insurance company, you’re taking money from your premium of your customers, invest it, and then you keep that money in order to pay out when your policy holders need to cash up their policies for whatever reason. Well, if you can’t earn any money, you can’t satisfied those obligations either, so your industry implodes. That’s what negative interest rates will do to big section to the financial service industry. It’s very, very damaging for a lot of people. Okay, but why does this situation really exist anyway? I mean, I don’t know if we really got to understanding of that, so people want to park their money. People, companies, institutions, whatever, they want to park their money and they’re basically paying for the privilege of parking it. I mean, that’s just a mind boggling concept. Well, let’s approach it in a micro-economic sense. You’re taking on all this debt and a lot of it is, shouldn’t been taken on in the first place, it’s called what’s (#27:39) investment. It’s bad paper that is going bust. You know, Greek debt, much of Europe’s debt, a lot of what was burrowed by China, a lot of the debt in the US now. This is paper that wants to default and that’s very deflationary, so the world’s governments in order to keep this bad paper from defaulting because of their past mistakes, they’re pushing interest rates down and creating huge amounts of new currency that’s flooding the market in order to paper over their past mistakes. Well, interest rates have been pushed down year after year after year and it hasn’t worked, so what the world central banks are doing now is pushing interest rates beyond zero. They’re going to negative interest rates in order to keep the global financial system from imploding, because that is what happens when you burrow too much money. If you make money too easy, too many people start borrowing and they tend to borrow for things they shouldn’t have borrowed for, they invest in things they shouldn’t invest in, those things don’t work out. Everything has value based on its scarcity. That’s the general principle of economics right there and when you make it plentiful, the value declines, obviously. I mean, this would seem like economics 101 or really before that. Yeah, so what we’re doing now is creating so much new currency, you know, with quantitative easing, with government buying bonds from the open market with newly created currency that just creates a flood of new currency. So, why haven’t we had just massive inflation yet? In fact, until about a year ago, I mean, we had, you know, some inflation, it’s always understated, but now even those who understand the shadow states like John Williams, they’d be hard pressed to argue there’s a lot inflation right now. Can the government, you know, the US and even some other countries, not all, can they just defy gravity like this forever and how are they doing it? Basically the huge amount of debt that we took on in the past a lot of it is going bad and that’s very deflationary, because when, for instance, when a company can’t make its payments and it defaults on its debt that in effect takes money out of the global financial system, you know, the money that company had borrow just evaporates, it ceases to exist. That’s deflationary and so we’ve got this huge debt bubble bursting out there. We’ve never taken on this much debt, we’ve never seen this much debt go bad, and that’s very deflationary. At the same time, counter acting that, we’ve got the world central banks with unlimited printing presses just shoveling money out the door and so those two very powerful, unprecedentedly powerful forces are kind of contending out there and it’s been swinging back and forth for a year or two. It looks like deflation is winning, you know, that was 2007-2008-2009 when we look like we’re going to tip into another 1930s style deflationary depression and then the central banks open the flood gates and money came out of everywhere and then it looked like we were going to tip over into some kind of inflationary spiral and now the pendulum is swinging back to deflation, but through it all, we’re taking on more and more debt. We’re creating more and more currency. So, we’re not fixing anything. We’re just borrowing more and more money to try to prevent a catastrophe occurring because of our past mistakes. You know, we’re making new and bigger mistakes right now, but that gets us through the next election cycle or the next corporate reporting period or whatever, but it does not fix anything. So, that’s why it doesn’t feel like it should feel based on these statistics when you see the amount of money that’s created or the amount of debt we’re taking on. Yeah, we should be in an inflationary spiral right now, but you have to look at the old debt we took on and watch what’s happening with that and that’s very deflationary. So, I think eventually the unlimited printing press triumphs the huge but finite debt collapse, so we do get some kind of currency crisis where..
Yeah, yeah. Well, this time it’s qualitatively and quantitatively different I have to say, because, yeah, you know, past technological revolutions have been extraordinary, but this one is amazing what’s coming. I mean, artificial intelligence, solar power, and robots, and 3D printing, they’re going to change the world in really unpredictable ways. Yeah, technology is deflationary because we allows us to get better at doing things and enables us to make things more cheaply. So, that’s true on the first, that’s like, that’s like the phase one of the technology. The phase one of the technology is it comes into play and it makes things easier, less expensive, more efficient, and better, right. We both agree with that, but maybe phase two of it is that ultimately that leads to a higher expectation of consumers and a higher quality of life and, you know, I’m trying, I’m wrestling with this idea, but that would seem to me inflationary ultimately and then we have to look at the employment issue with especially robotics, because that’s one a whole another Pandora’s box, but go ahead with that. So, inflation and deflation are really monetary events, okay. If you have stable money. For instance, 200 years of the classical gold standard before World War One, we had no inflation for 200 years! In fact, we had a little bit of deflation each year. Money got a little bit more valuable year after year. Prices went down just a little bit year after year and that was because one, the value of money stayed the same in terms of its supply, you know, the amount of gold in the world went up about the same rate as the human population, so the supply was imbalanced and at the same time new technologies were making things a little bit cheaper year after year. So, we had a little bit of deflation and that’s the normal situation for a healthy society and so now that we’ve got all these inflation one year, deflation the next year, that instability comes from the fact that we don’t have stable money anymore, so we’re seeing prices of things bounce around in really strange ways, but that has to do with the fact the supply of money and the velocity of, you know, all the distortions that come from extremely easy money and really variable government policies with regard to how much they print and stuff like that. That’s just destabilizing, so if you look back when money was stable you see that steady small amounts of deflation are the normal way for a healthy society to operate. It’s not that we’ve drifted away from that, that’s because we’re making policy mistakes. It’s not anything to do with the nature of money or anything, it’s just we’re screwing up and so we’re reaping the world wind of really stupid economic monetary polices of the past 30-40 years. Yeah, no question about it. So, where are we going? This wouldn’t be a complete conversation at all without many issues, but certainty one big one is reserve currency status of the dollar. You know, your book is called the money bubble, what to do when it pops. So, what are your thoughts there? Yeah, well, the term money bubble refers to the fact that over the past 30 years we had a series of financial bubbles, junk bonds and tech stocks and housing and those have all been fairly localized bubbles that have happened on a bigger stage, which is the money bubble, which is fiat currencies being created in huge quantities and government debt being issued in unprecedented amounts and that’s the big bubble on which these little bubbles have come and gone and when the big one, when the fiat currency bubble pops then everything chances, because then we lose faith, you know, in the past we lost faith in junk bonds one year and tech stocks a decade later and housing, but we’re going to lose faith in our money at some point in the not too distant future and then that changes everything, because that means your bank account, your stocks in your stock brokerage account, every kind of financial account that you’ve got, everything is affected by that. But why do we have to lose faith in our money? I mean, it would seem that when you do the math, you’re absolute right, but as we’ve talked before I’m sure at least my listeners have heard me say before, it’s about a lot more than just math, right, because you know, when you’ve got the world’s largest military, when you’ve got the world’s largest economy, granted it’s built on a house of cards, but you know, you’ve got all of these advantages, I mean, do we ever lose faith in our money or does this can just get kicked down the road forever indefinitely? Take a few statistics first to kind of set the stage for this. If you add up all the debt in the US financial system right now and that is government debt and mortgages and the unfunded liabilities of social security and all the rest comes to about two million dollars per family of four and that’s not mythical, it’s not make believe, we as American citizens have to deal with that in some way either by paying incredible amounts of taxes or by directly writing the check for whatever. So, we’ve already reached the point where, you know, it’s hard to see how we manage that, because that’s vast more than the average family can handle and historically, see, there’s nothing really unique about what the US is doing in a historical sense, big powerful trading countries in military empires have been this way before, you know, they get over extended, they create too much currency, they can’t protect their borders any more because their military is stretch to thin. We don’t even want to protect our borders. That’s even scarier. We want to protect the whole world, our interests in the whole world. You know, we’ve got military bases on a 100 countries, we’ve got boots on the ground. Yeah, but a lot of those interests are false. They’re just basically interests that are invented because central bankers want to profit from wars. Well, see, this is what empires do though, they assume that their interests, because they’ve been all powerful for a long time, they assume that their interests are much greater then they actually are and they take on responsibilities that they can’t handle, that they can’t pay for, and then they destroy their currency in an attempt to finance things that they can’t manage and so we’re in that sense no different from the Roman Empire, which seemed eternal at the time, you know, it lasted for a 1,000 years and then it had a hyper inflation and then descended into corrupt and barbarians took over, you know, but you can go through almost any other major military and industrial empire that has ever existed and it’s all gone the same way. We’re making all those mistakes, you know, we’re borrowing too much money, we’re taking on commitments both at home in terms of the entitlement state, which grows year after year and overseas in the military empire, which leads us to intervene everywhere in the world. We think everything is our business. I know, it’s a completely absurdity. We gotta just get out of everybody else’s business, you know. But we’re not. We’re digging even deeper and hey, even more. So, eventually, you know, to get back to our question about how that affects the dollar, eventually the numbers become overwhelming. We would have burrowed so much and caused so much instability at home and around the world that people won’t see dollars as the safe heaven anymore. So, it’s not a question of when or it’s not a question of if, it’s a question of when. I’d say that you’re right when you’re doing the math, but I don’t know if you’re right when we talk about issues like, well, we can just force them to have the dollar as the reserve currency, because we’ve got the bullying power to back it up, you know? I’m not saying it’s right or fair, I’m just saying it is. But see the stuff that allows you to get to the point where something is a bubble is frequently pointed to as the thing that will keep the bubble going, but it’s frequently not the thing that can do it, you know, you can go back and look at why they thought tech stocks would keep on going up forever, but really that was, those were the reasons that tech stocks had gotten to being a bubble in the first place, but they didn’t keep it going forever and so on with all the other bubbles, well the US is, well, fiat currency in general is kind of the same thing. Yes, the US can project military power around the world and insists that somebody like Saudi Arabia only accepts dollars in return for oil, but can they do the same thing for Russia? Can they do that with China? Yeah, they can, actually. I think so, because I’m not saying we’re going to launch the ICBMs in Russia or China, God forbid we do that, but number one, China is not going to go too far wrong, because we’re its biggest customer. Russia is almost out of business and we’re probably doing that as a weapon of warfare with oil price declines. Basically, you know, I had one of my guests on Jim Norman who wrote a book called The Oil Card that basically his theory is that and, you know, he’s got a lot of experience in the oil industry and his theory is that oil, the price of oil is basically determined by the future markets and the US is doing this just to destroy Russia and to hurt China a little bit and to destroy Venezuela and boy, if you look at, I don’t know about China, I don’t have a comment on that one, but if you look at Russia and Venezuela, God, it’s working. Yeah, we have used oil historically as a weapon against Russia. We used it to break the Soviet Union back in Roland Reagan’s day when they cut oil. We’re trying it again. At the same time Russia is setting up a bank settlement system that is separate from the current Swift system that the world’s bank use. But, so what? What does that really mean? It means they can operate with their own currency without having to use dollars. They’re cutting deals with China right now to ship energy. See, to China and Russia who are basically emerging powers, our ability to use our military power, which is financed with the world’s reserve currency is a huge problem for them. And the boots are probably made in China, by the way. But you see this to them is not the appropriate way for the world to operate and they’re accumulating enough power, especially in the case of China and to extent India and Russia to be able to push back and so it doesn’t happen tomorrow, but it’s moving in that direction, because we’re abusing our power. How many times do we get to force down the price of oil to punish a somewhat power, but not as powerful as us, country and get away with it before they take steps to do something about it. So, they are taking steps, you know, they’re cutting bilateral trade deals where they use their own currencies. There’s no reason why China and India need dollars to trade. They each of currencies. They can do swap where they each hold each other’s currencies and then just send them back in forth in return for goods and services. Really, really fascinating and complicated stuff. Did you want to mention anything else about like say Switzerland for example? Because they had some big news, what was it about, four months ago maybe I want to say. Switzerland is a really interesting kind of canary in the currency gold mine where the Swiss have historically managed their finances pretty well and the Swiss Francs therefore have been a safe heaven currency. It’s where you put your money if you want it to be stable and don’t want to worry about it depreciating or anything else and so when the US aggressively starting buying back bonds and doing QE and then the Euro zone started doing the same thing, because they were mismanaging their economics and borrowing too much money and having to push down interest rates and monetizing their debts, doing all the things that an over indebted country does. Money started flowing into Switzerland and that pushed up the price of the Swiss Currency to the extent that really hurt Swiss exporters, because they price their stuff in Swiss Francs for selling to the rest of the world. Swiss Francs goes up, that makes their stuff more expensive and was really hurting the Swiss economy. So they had to peg the currency to the Euro, which means their going to adopt Euro’s own levels of inflation going forward. Now, that means they’ve basically just given up. Now, people in Switzerland responded to that, because they didn’t like the idea of them just inflating away their currency, so they responded to that with a referendum that would call on the Swiss central bank to start buying a lot of gold and to back their currency with gold, basically. There were a lot of provisions, but that was the basic one. So, they had an election about that and the Swiss government and the Swiss national bank just went after these proposal, because it would really tie their hands and make it harder and harder for them to operate the way they wanted to operate, so the proposals lost, but still, it was an interesting experience to see the Swiss people attempt to bring Gold back into the center of their financial system. So, the fact that didn’t pass. I mean, what’s the take on that? Is it that the Swiss people would have to make sacrifices and be more responsible and, you know, they didn’t like that because of the instant gratification? What’s the vibe on that? Well, there were a couple of things. One is that there were several referendum all on the same subject more or less and there were a lot of different parts. There was so much out there, there was something in there for anybody to dislike, you know, everybody could find something in this list of new rules that were proposed that they found disturbing so gave them a reason to vote no. It was a much simpler referendum, they just said, okay, we’re going to buy back this much gold and that would have been simpler and it would have worked, probably would have passed, so there were things that were easy to criticize from almost anyone’s point of view. The other thing is, yeah, if you tie your currency to gold, which would make it much more stable and much more rock solid than the other currencies in the world, your currencies would go up in value and that’s a problem for any country, you know, when there’s a “currency war” going on, when everybody is trying to force down the value of their currencies, if you don’t participate, your currency goes up versus those other currencies. The stuff you’re trying to sell gets way more expensive and your exports sectors drops down into a depression. That’s what Switzerland was kind of looking at if they backed their currency with gold and didn’t participate in the currency war, so the export sector, all the big industrialists and bankers in Switzerland were terrified of that and I guess with good reason, because it’s not clear you can just surrender in a currency war. You know, if everybody else is devaluing, you kind of have to play along and so that’s the big lesson from this, which is that no body can opt out of this. The whole world is going to have to aggressively devalue your currencies, because that’s what happens when you burrow too much money. Yeah, it’s crazy. So, do you agree with my thesis that technology could save us all? I mean, it’s kind of like you accumulate all this debt, be totally irresponsible for five plus decades, and then you get rescued by technology. I mean, it’s certainty debatable we’ve been rescued by technology all along the way. I mean, fracking rescued us from much higher oil prices, I’d say, and gas prices, right? We’ve been rescued a million ways. China rescued us with lower consumer product prices, globalization, I mean, all these things really are enabled by technology at one form of another. Well, Jason, on one hand you could say, yeah, it rescued us in the sense that it stopped a collapsed that would have happened earlier, but in another sense you could say it enabled the worst of our natures. It allowed us to continue to increase burrowing year after year to make the problem even worse when it blows up it’s going to be much, much bigger than if we had had our come Jesus moment in 2000, right after the tech stock cash. You know, we possibly could have restructured the global economy back then to avoid protracted depression, but we didn’t and in that time we tripled our debt since then. Yeah, it is and so there are only a couple of ways to get out of that much debt. One is to have a collapse where everybody just stops paying and they all default or you inflate your way your currencies so that you’re paying back your debt, but it’s in currency that’s worth a third as much as the original currency was. So, you know, one way or another, that’s our decade ahead. We gotta choose one of those two things. Yeah, we shall see, we shall see. So, you talk about inflation coming in the future how it must come and I agree with you by the way. Any ideas as to when, you mentioned the next decade, I mean, how you know, are we three to five years away to see some significant inflation? You know, I thought this game had to end in 2005. So, I’m a decade late with my prediction now, but yeah, it just seemed like the numbers didn’t work a long time ago and we’ve been able to keep it going and there are, you know. And they keep getting worse. Oh, the numbers keep getting much worse. It’s like we’re doubling down, doubling down on a bad business plan over and over. Or a more down home analogy is we’re a family who, you know, one of the bread winners lost a job, but instead of cutting back and adjusting our life style, yeah, we max out credit cards now and we still got all the stuff, we still just as good as the neighbors as we ever did, because the SUV is still in the driveway of our big house, but our credit card balance goes up year after year after year and pretty soon those teaser rates are going to jump up to 21% or whatever and at that point it’s over. So, that’s the question, when does the teaser rate jump up to a more realistic interest rate and bankrupt us? We can’t know that, because it’s probably due to some external event, you know, something happens somewhere that sets off the chain reaction and then everything falls apart, but we can’t know what that thing will be. You’ve probably seen Jim Rickards. Oh, of course, I’ve read all his books, yeah. He’s great, he’s great. So, his analogy is the snowflake on a mountain side, you know, when there’s a mountain side that has seen a lot of snow fall on it, it’s ready for a avalanche, but you can’t know what snow flake is going to fall on what pat of the mountain side to set off the avalanche and there’s nothing special about the snow flake, you know, it just hit at the right time at the right place and so that’s the way it’ll be with us where something will happen, you know, Greece is an example of a possibility or some bank somewhere going bust all of a sudden or some other country. All kinds of things that could happen. There’s lots of catalysts out there and you know, one will happen at some point and then everything will change. Yeah, give out your website. DollarCollapse.com. You can get the book there or on Amazon of course. You know, the thing I want to say as much as all this bad news sounds is that the strategy is long term fixed rate debt attached to commodities if the inflation comes, inflation is basically going to pay down that debt for you. It’s inflation induced debt destruction, but if it doesn’t come and somehow we continue to defy gravity then we live in a world where the only thing you can expect is yield and that’s why I still love income property, you know? So, that’s my thing, you know. Yeah, well chosen real estate tends to well. You gotta have it with income, you can’t do these high priced markets that are risky that don’t have cash flow. You gotta be able to outsource your debt to your tenants first and inflation second. Yeah and you have to be able to manage the property. A lot of people, I’ve noticed friends who get entranced with the idea of rental houses and things like that without quite thinking through the idea of when the toilet breaks it’s their job, you know? It takes a little bit of attention, but you know, the return you can earn is so much significant because it’s multidimensional. It’s not just about, you know, buy low, sell high, it’s not even just about dividends, it’s tax benefits, control, expenses you can write off, it’s like having a little side business and then you get the leverage and the historically low fixed rate debt. I mean, when are interest rates, you know, it was arguable certainty a couple of years ago that interest rates, we were already in a negative interest rate environment with home mortgages, but now I don’t think so. I think you’re actually paying your mortgage, although rental property or income property owners don’t pay their mortgage because the tenants do, you know, if you just buy a home in which you live, then you’re paying, because I do think you’re borrowing at higher rates than inflation right at the moment, but certainty that’s been debatable in recent years. In general the intellectual challenge of investing in this kind of market is both interesting and really scary because we never really been here before and so it’s fascinating to try and manage money in this kind of environment, but it’s also kind of a minefield, so I don’t envy professional money managers on the one hand and retirees on the other, because they both face some really tough decision where there aren’t extremely clear answer like there used to be just, you know, there was a mix of stocks and bonds and cash would get you through pretty well and it’s not like that anymore. So, these are really fascinating very scary times coming. Well, hey, thank you so much for joining us again. We’d love to have you back. You’re always interesting guy to talk to. Folks, thanks John Rubino, thank you so much.